Mozart's five violin concertos were all composed in Salzburg while he was still a teenager. The first was written in 1773 and the other four in 1775 though there is some doubt about the exact date of the second. The second concerto is very much a transitional work both in the development of the violin concerto and in the work of Mozart. Certain aspects look back to the baroque violin concertos of Bach and Vivaldi, in particular the contrasting passages between the orchestra and the soloist found in the outer movements. On the other hand the slow movement exploits varied accompanying textures and uses flowing melody in a way that anticipates the early romantic approach to the violin concerto. The work illustrates Mozart's increasing mastery of form and musical development. It is not recorded who played the solo violin during the first performance, but it is quite likely that it was Mozart himself. He had a very high reputation as a violinist, though later in his life he played primarily the viola rather than the violin. At that time the soloist would have directed the orchestra, and played with the violins in the orchestral tutti. There would not have been a conductor. The concertos were not particularly well received on their first performances, probably because of the uncomfortable relationship Mozart had with his employer, the Archbishop of Saltzburg, Prince Hieronymus Colloredo. The Archbishop was continually irritated by Mozart's frequent absences from court and his lack of decorum. He finally dismissed Mozart in 1781 with the words "let him go, I don't need him". The first movement is in sonata form. It is in the galant style of the period, having bold contrasts of dynamics and regular eight bar phrases. The introduction is all in the key of D major and presents the main musical ideas of the movement, mostly on the strings, with the wind instruments joining in for occasional forte passages. The soloist plays throughout the exposition proper, decorating and elaborating the musical ideas often with the sparse accompaniment of the orchestral violins alone. In contrast to the introduction, the second and closing subjects are this time in the dominant key of A major. The short development section remains fairly constantly in the key of A major and the soloist has music of an improvisatory nature accompanied mostly by the strings. The recapitulation follows the outline of the exposition closely, but this time with the second and closing subjects in the home key. Some of the orchestral textures are varied, and the solo part is more florid. The second movement, unusually in the sub-dominant key of G major, is a lyrical andante in sonata form. It is much more adventurous than the first movement, using irregular length phrases having a broader palette of orchestral colour and texture and a richness of melody that characterises Mozart's mature style. It opens with an eight bar phrase played first by the orchestra and then by the soloist accompanied by the upper strings. A short episode for the soloist takes us to a second lyrical melodic idea for the full orchestra in the dominant key. A second episode for the soloist follows with the emphasis this time on lyrical beauty rather than virtuosity, and closing with the last four bars of the first subject, this time in the dominant key of D major. The short middle section of the movement is a development of the opening melody with subtle harmonic changes and a modulation to the relative minor key. The recapitulation follows the outline of the exposition closely but in the home key, and with varied orchestral textures and a short cadenza. The final movement is a lively rondeau in three four time. In its first four appearances the rondeau theme is played first by the soloist and then by the whole orchestra. 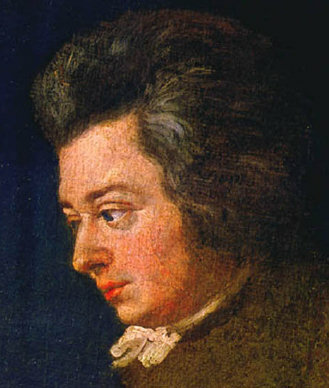 However Mozart continually changes the accompanying texture on each occasion. The first two times, the soloist is accompanied by the orchestral violins alone. On the third appearance of the theme the soloist is doubled by one of the oboes and the accompaniment is played by the second violins and violas, and on its last appearance the horns provide supporting harmonies. The episodes between each appearance of the theme provide the soloist with ample opportunity for virtuoso display. The first moves from the tonic to the dominant, the second starts in the sub-dominant key and moves through a cycle of fifths to the relative minor. The third starts dramatically in the tonic minor key, moving quickly to the dominant, and the last short episode is in the home key. Mozart's Second Violin Concerto K211 was performed by the Portobello orchestra on the 19th April 2008. The soloist was Mikel Kerem and the conductor Anthony Weeden.